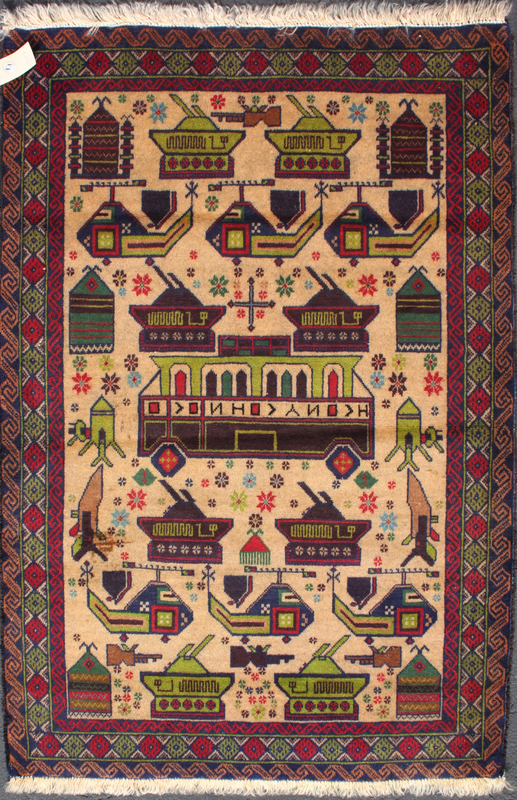 This colorful rug features bright greens , blues, and reds on a light tan background. 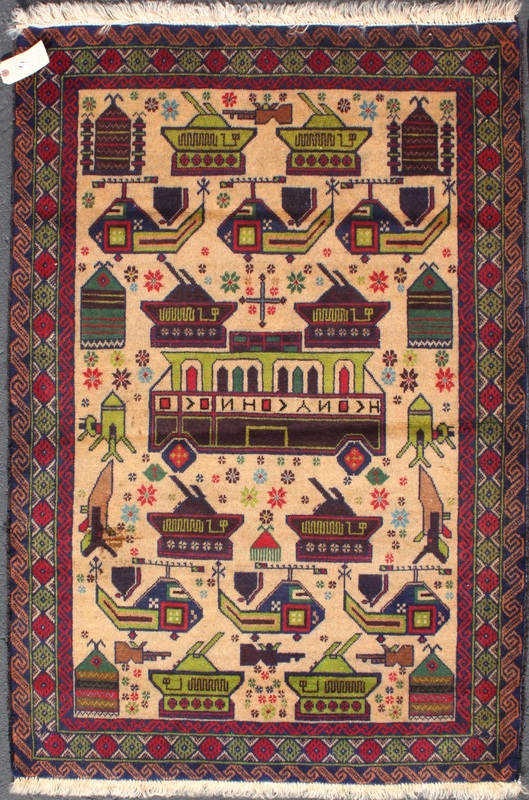 The colors in the motifs really pop from the field. 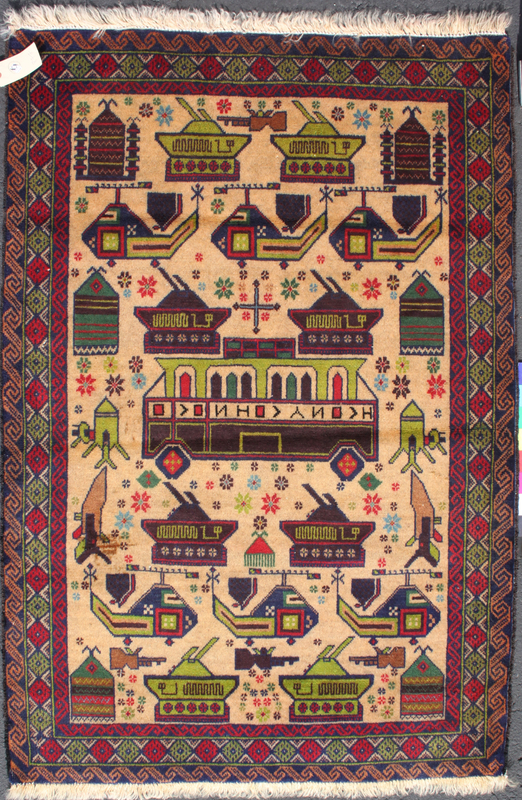 In the center of the rug sits what looks to be a bus or trolley surrounded by tanks, helicopters, jets, and rifles. An assortment of flowers in different sizes and colors are sprinkled throughout the rest of the field. Wool: Soft, fine Sheen: Shiny Handle: Very floppy Selvedge: Mainly brown tightly braided goat hair with black wool replacement on the bottom left corner.